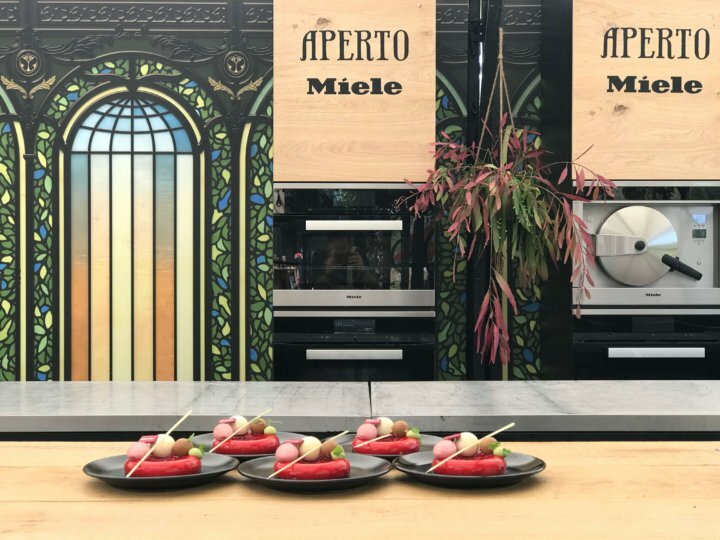 Our retainer client Miele asked us to ensure good press coverage of their presence in the highly acclaimed (and fully Miele-equipped) Aperto restaurant at Tomorrowland. 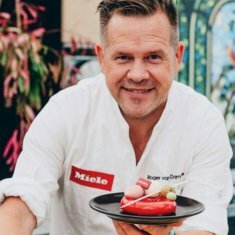 This collaboration marked the third year of a partnership between Miele and Tomorrowland, but the first in which their communication would entirely focus on cooking instead of laundry. Walkie Talkie invited a mix of journalists to discover Aperto, located at the heart of Tomorrowland, first-hand. 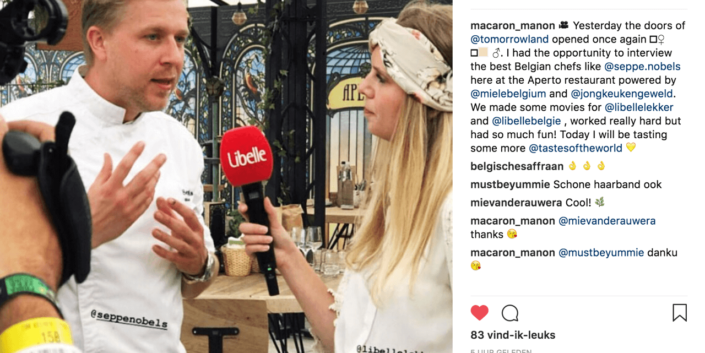 At Aperto, Nick Bril from ‘The Jane’ took charge of the course of action for the starters each table could share and every other day a different ‘Jong Keukengeweld’ chef was invited to prepare the main sharing dishes. On the first day of the festival, we invited several top-tier journalists and a selection of culinary influencers to embark on a unique culinary journey. 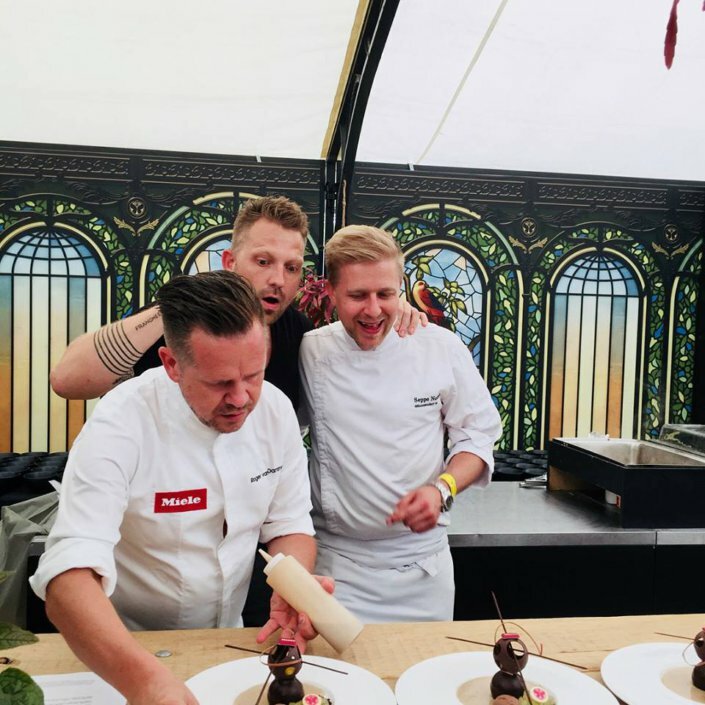 Seppe Nobels from renowned Antwerp restaurant ‘Graanmarkt 13’ took care of the main dishes for us, and for the occasion, Miele-ambassador and the world’s best pastry Roger van Damme, created a mouthwatering dessert for the guests. 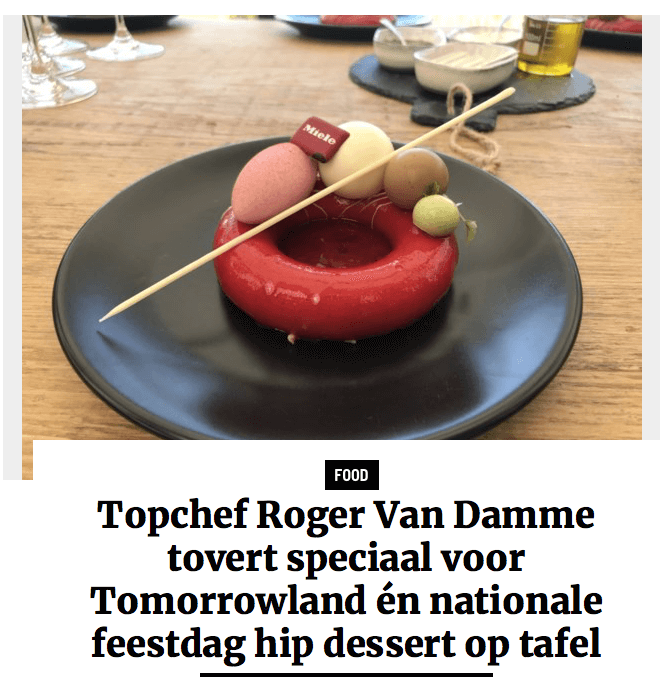 To further drive coverage, Roger van Damme also saved a surprise for the next day. 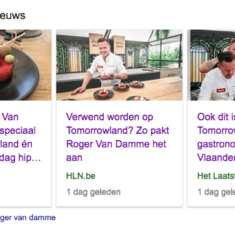 On the 21st of July, the Belgian National Holiday, he kicked off the official Tomorrowland press tour for journalists looking for novelties at the festival. In Aperto, he created a signature dessert inspired by the legendary Miele laundry machines. 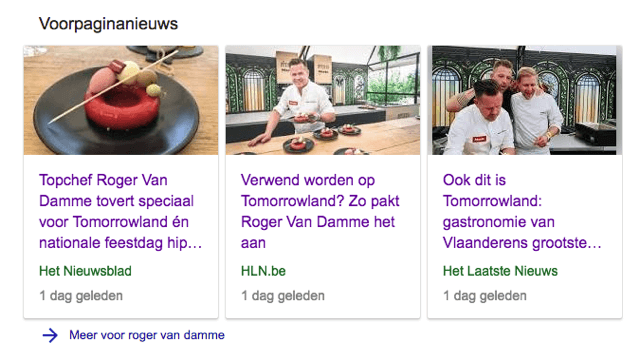 Due to our comprehensive follow-up, several large online publications picked up the newsbite further enhancing the love story between Tomorrowland and Miele.